It's here you can also find out the link between John Peel and kids TV hero Fireman Sam! You'll also learn which 70s band holds Peel responsible for the success of the song they most despise. And then there's the birthday surprise in one of Peel's last broadcasts. Some great moments. Enjoy. This is one to treasure and enjoy of a long and lazy evening. Many many thanks. Love this post... right down to that brilliant photo. Diolch,Robster. This is brilliant. Excuse me for one smartarse comment: Gruff's accent is actually pure Bethesda, which is in the North West of Wales just outside Bangor, although he was part raised in South West Wales. Thanks Nic. I'm fascinated by accents and where they come from. Wales has a plethora of accents, so diverse for such a small nation. Newport and Cardiff, despite being little more than 10 miles apart, each have distinctive accents. Go up the valleys and you get even more accents and dialects. Alright, just finished listening to this in the car this morning and what a treat it was, to be sure! 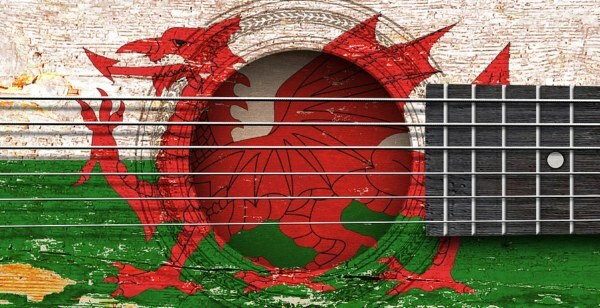 And of course they are all right when saying that if it hadn't been for Peel, Welsh music would never have been known in Europe. I well remember buying Llwybr Llaethog's 'Da! back in 1988, because I thought "Cyfundrefn Gyfalafol" was the most stunning piece of music I ever heard. The bloke in the record shop where I wanted the order the album, looked at me as if I were from another planet, he never heard of anything from Wales apart from Tom Jones! So, should you have "Cyfundrefn Gyfalafol" in your collection, here's a reader's request, mate! Ashamed to say I don't have that one Dirk. Might be a good one for you to post for a SexyLoser comeback!